As the first American woman to enter space, astronaut Sally Ride was nothing if not an inspiration to girls and women around the globe. Her death this week has provoked not just a deep sadness that she's gone, but also considerable reflection on the challenges and opportunities facing women in science and technology today, some 30 years after her first mission. 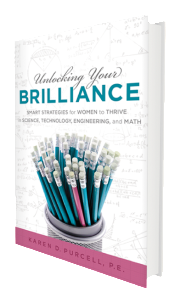 I had a chance recently to speak with Karen Purcell, author of the forthcoming book Unlocking Your Brilliance: Smart Strategies for Women to Thrive in Science, Technology, Engineering, and Math, about some of the challenges facing women in these fields. Purcell's book is due out on Aug. 1. As a professional engineer and founder of award-winning engineering firm PK Electrical, she has both professional and personal insight on the topic. PCWorld: Please describe some of what makes it difficult for women to thrive in science, technology, engineering, and math (STEM) fields. Purcell: Women who choose to follow careers in STEM disciplines face unique and frustrating challenges. Even after we establish ourselves in our careers, we continue to encounter potential career-ending traps. Not only do women in STEM careers have higher attrition rates than do their male counterparts--especially within the first 10 years on the job--we also have higher attrition rates than women in other careers. The general belief that men outperform women in math and science fields is one of the reasons for the high attrition rate. Other reasons include cognitive gender differences, a woman’s lack of interest in the STEM fields, work-life balance issues, and bias. This is an important subject to acknowledge and correct; otherwise, we will never level the playing field. In the STEM fields, conquering post-secondary education is also vastly different from conquering a career. College and university programs teach guidelines, problem solving, and time management, but they do not always prepare us for the working world and are not always the best indicator for how well we will do once we land jobs. When we start our careers, we are being paid to achieve results. Multimillion-dollar projects can ultimately fail because of our workmanship. The pressures facing young females entering the STEM workforce are humbling and extremely trying. Without much warning, these pressures can lead to high levels of dissatisfaction. PCWorld: It's obvious why these challenges are a problem for women, but why are they also a problem for the fields themselves? Why would IT, for example, benefit from the involvement of more women? Purcell: Many jobs within the STEM fields focus on designing products and materials that aim to advance our experiences and allow us to live safer lives. Therefore, it is critical to have a strong female presence to ensure that products and materials are developed to benefit both genders. Without the involvement of women in these fields, product designers may easily overlook needs that are specific to women. Examples of this are evident in the design of past products. For instance, when voice recognition was first becoming popular, the systems were calibrated to recognize male voices because only males were designing the products. Because of this, women’s voices were unrecognized when they tried to use the various systems. PCWorld: What do you think needs to happen in order for there to be a more balanced proportion of men and women in this area? Could it--and should it--ever be 50/50? Purcell: Early exposure to math and science for young girls is essential. Young adults are inquisitive and may end up in STEM fields for a variety of reasons, but early, sustained exposure to these fields and encouragement would result in more informed women making more precise college decisions. More than that, it would help young women understand that their gender shouldn’t determine the career path they choose, that pursuing a STEM career doesn’t make them any less feminine. Girls often fall off the STEM grid and we need to figure out how to keep them engaged and how to give them the exposure, guidance, encouragement, and resources they need, and that our male counterparts get. In engineering only about 10 percent are women. Through encouragement, exposure to STEM, and support to young women, one day we may get to the 50 percent level. PCWorld: What can women do to make their way easier on this career path? Purcell: Read my book. Unlocking Your Brilliance specifically provides common hurdles that women face in a STEM career and suggests strategies to overcome those hurdles. PCWorld: What should companies do to attract and retain more women? Purcell: Offer mentoring programs. A mentor can make transitions into a new position or company smoother. Mentors can also be a long-lasting resource of information. Finding a mentor early can do wonders for the amount of satisfaction that anyone, male or female, finds on the job. Also, it's important for a company to listen to its employees' needs and offer flexibility. At my company, we try to be as flexible as possible to everyone’s needs, not just women. I think having a fair workplace regardless of gender is also important. PCWorld: Finally, it's not uncommon to hear the retort that no one should get special treatment or be treated differently at all by employers or peers simply because of something like their gender; some, in fact, would argue that that's just another form of discrimination. What's your answer to such charges? Purcell: I would agree that no one should get special treatment and that everyone should be treated equally and fairly. This would include job responsibilities, following the rules, and flexibility. It would also include equal pay. Women are typically getting paid 20 percent less than their male counterparts. The system is broken and it needs to be fixed.